The Port of London Authority (PLA) has invested £250,000 upgrading its ship’s bridge simulator, adding a full tug bridge simulator in a move that is set to enable a boost in port trade and helps terminals verify their expansion plans. The Thames is the UK’s busiest waterway, handling over 45 million tonnes of cargo a year. For over a decade the bridge simulator has been an essential tool for training the PLA pilots who guide ships to and from their berths on the Thames. The PLA recently announced plans to recruit twelve new pilots this year to help facilitate increased traffic on the Thames and the simulators will play an integral role in their training. PLA research completed last year showed that Thames terminals have plans to invest over £1 billion in their operations over the next five years, several looking at handling larger ships. In addition to its core role in PLA pilot training, the simulator is also used for coaching pilotage exemption certificate (PEC) holders and specialist training for senior officers from shipping companies, tug masters and pilots from other port authorities. The PLA simulator team are all Class 1 Unrestricted pilots who bring their everyday knowledge and experience into the training environment. Most training course are attended, in part, by a tug master from one of the tug fleets operating on the river and this is seen as an important addition to the experience and training offered. record, pause and rewind allowing review and retry of scenarios; and v view over the tug bow or stern are available. The Port of London comprises over 70 independently owned and operated terminals and port facilities along the tidal Thames. 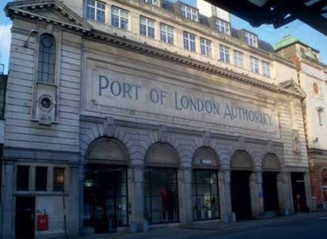 The Port of London Authority (PLA) is responsible for navigational, safety and related matters on 95 miles of the tidal Thames from the sea to Teddington in west London. The PLA provides navigational, port control / Vessel Traffic Services, safety, pilot, diving and other services for users of the Thames.